We are two Christian churches in Parks and Walcot. Our goal is to show the light of Jesus’ love to everyone in the area. This means we can play a part in realising what Jesus called the “kingdom of God” by bringing people into communities with Jesus Christ at the centre. We believe that Christian life is lived in a relationship with God through Jesus Christ and we aim to follow the way that Jesus taught. We meet every week on a Sunday to learn more and to worship the one true God. We would love to meet you and everyone is welcome to the services or just pop in and see us. True and humble king, hailed by the crowd as Messiah: grant us the faith to know you and love you, that we may be found beside you on the way of the cross, which is the path of glory. Tea and Toast - Monday and Tuesday at St John's 9:00 - 9:45. 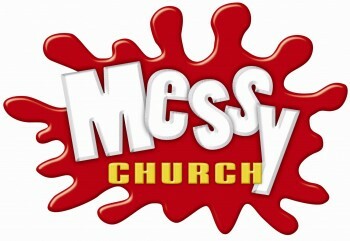 Are you ready for Messy Church in 2019? ‘80's Karaoke Night ’ Date to be confirmed for our next karaoke @ St John’s Hall Fancy a night out? Over 18's only. You don't have to sing and we won’t make you, you can just watch everyone else. Tea and coffee can be purchased on the night along with a small selection of soft drinks. £5 per adult. Doors open at 6.30pm. NB GTPW stands for Give To Parks & Walcot!